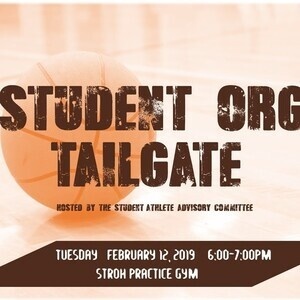 The Student Athlete Advisory Committee would like to invite you to an all student organization tailgate. This tailgate is designed to bring all of our campus leaders to enjoy camaraderie as well as raise awareness for mental health and suicide prevention. It will fall on the MAC Mental Health Awareness Week. There will be free food and tailgate games.